Education is a process where one can get knowledge and skills to learn. Education can take place in formal or informal method. Education system is being changed over the time. The Indian education system has been evaluated from several centuries. From the ancient times, children are being sent to the teachers to learn and to add value to their lives and make them skilled to live an independent life. India has the third largest higher education system, and is behind only the US and China. Our higher educational institutions produces around 2.5 million graduates every year, which is even higher than some other country’s population. Primary Education: Primary education is the first stage of formal education, which is after preschool and before secondary education. Here students are able to develop their social, emotional, cultural and physical skills and abilities, by preparing them for their further school career. Secondary Education: It takes place after six years of primary education and is followed by higher education. It is a part found in formal education, starting about age 11 to 13 and ending usually at age 15 to 18. Then comes Senior Secondary Education where students start to concentrate on a particular subject of interest. India has one of the best education system in the world while providing secondary education. Higher Education: It is an optional final stage of formal education, which occurs after completion of secondary education. It is completed by taking courses in universities, colleges, seminaries, conservatories, and institutes of technology. To enhance quality of higher education in India and to make it a best education system, the government has planned to invest INR 1,00,000 crore in next four years. In India, MHRD is responsible for the development of the infrastructure in the Higher Education sector in terms of planning and policy. It follows a planned process towards the access and qualitative improvement in the Higher Education, through collaboration with the world class Universities, Colleges and other Institutions. There are sites that help students that to get a better education by selecting a good college according to their capabilities, whether it be national or an international College. Getmyuni is an extensive search portal for the students to select good players in education who are considered to be the best. Best 11 Steps to Achieving a High IELTS Score! A student or any kind of person who aspires to go to abroad for pursuing a certain dream must score high in IELTS. Though high IELTS scoring is not a cup of tea for everyone. There are numerous IELTS training centres available where people take admission and attend classes dedicatingly with an expectation to get high scores or high bands in the exam. But, very few of them succeed in achieving good scores due to the strict exam pattern. By joining a good centre for IELTS coaching classes like Shiksha Institute, you can certainly find a right path to step up the ladder of success. Besides joining a good centre for IELTS training, one should also follow some proven tips to improve overall performance in the IELTS exams. In this article, we will discuss top 11 steps to achieve a high IELTS score. Before we start defining our 11 proven steps to achieve a high score in IELTS exams, let’s talk about this prestigious exam and its different modules. IELTS stands for the International English Language Testing System is a globally acclaimed test that is being conducted on various locations worldwide every year. Over 3 million students from different nations of the world sit in this exam every year and all of them have different expectations from the IELTS scores. Today, there are numerous IELTS training institutes available that all claim to be the best from all; however, when it comes to score high in this exam, you must choose the best from all. The one that has a proven track record of successful students with high scoring can only be the right destination to register with. The IELTS exam comprises of 4 modules that include reading, writing, speaking and listening. Each module has individual scoring and by following expert tips, you can ease up your way to score well in all four modules. Now, we will explain all four modules here to give you an understanding of all of them and make you prepared for achieving the high scores. Listening Test – In listening test, the student’s English listening ability is evaluated. So, while preparing for this exam, it is mandatory for you to work on the English listening materials; so that, you can understand with various vocab and easily give appropriate replies as necessary. For enhancing listening skills, you should listen to various recordings and each recording should be listened till it stops. During this process, your focus should be on the questions related to the played part. Your test will also be based on the recording listening as on the basis of the recording, you will answer the questions. Usually, the recording questions follow the similar information order as in the question paper. By end of the recording, you will be provided some time to answer on the sheet. Reading Test – Reading is an important part in the IELTS exam as it ensures if the student is proficient enough to read English. So, while preparing, you should start with discovering the key features of the passage like writing style, topic, purpose or message that it intends to give readers. There is no need to get familiar with each and every word in the passage as there will be some time limitation. Usually, reading exam carries some example answer and if this is the case with you, try to learn the reason behind its being right. Though while giving this test, you should give a great emphasis on the instructions given. Speaking Test – Speaking is another important exam in the IELTS test as it checks the English speaking ability of the student. So, in this exam, we suggest you to not attempt to give a complete speak or speak on a different subject from what you are actually asked for. Just be precise and direct to what you are asked from the examiner and focus on the examiner not the recording device. Rather answering in Yes or No, it would be better to include some more detail to your reply. Moreover, while speaking, you should try to organise your ideas rightly and be on a normal speaking speed. Writing Test – To check the writing ability, knowledge of grammar, vocab and other important things, writing test is conducted in IELTS exam. There will be one or two topics given to you on which you suppose to write an essay. While writing the essay, you should remember the time constraint. Divide time for both the topics rightly and then, try to write in equal amount on both. These are four modules of IELTS exam that you must be familiar with. On the basis of your preparation on each module, you will perform in your final IELTS exam. Though to score high, here are top 11 tips that you must keep in mind as it will certainly help you a lot to score high as expected. I. Start the IELTS preparation early. It has to be consistent and frequently monitored. For this purpose, you can take help of an IELTS training centre or any individual trainer. II. Pay much attention to your English grammar knowledge and try to strengthen it by reading grammar books in your regular life. III. Your English practice must include listening, reading, writing and speaking as it will help you to prepare all four modules as discussed earlier. IV. Never ignore any opportunity in which you can speak in English. So, participate in English speaking debates or English essay or story writing events. V. Try to enhance your vocab as much as you can. Though it is a fact that it cannot be enhance instantly, but with your consistent effort, learning and curiosity to add new words in your vocab every day will definitely make your effort fruitful. VI. Make a habit of reading different types of texts in English and they should belong to different genres like culture, sciences, history, management and finance. VII. Indulge in group debates or make effort to speak with people who speak in English. It is a great way to practice English speaking. While speaking to different people, you can talk about hobbies, studies, career, dreams, lifestyle, likings or disliking, family etc. VIII. Watch documentaries online or on TV and also watch English news daily. IX. Once you have a good basic knowledge of English, you can join any good IELTS institute that will be a great move to enhance your overall learning and expertise. X. In case, you have any doubt on your ability to crack this exam, you should go for demo test and check the feedback from the tutor. XI. Practice regularly and consistently according to the paper patterns on different modules with the guidance of an expert IELTS faculty. Following these eleven steps, you will certainly succeed in your attempt to gain a good score in IELTS exam. Author Bio: Aarav Kapoor is Working as Blogger for Shiksha Institute. A famous Institute for Coaching classes,Competitive Exams and IELTS Exams. He has been blogging for several years about the studying abroad and preparation for competitive exams. He is a voracious follower of coaching classes and loves to share his knowledge and learning about it. What is the Exam Pattern for GATE 2019? Graduate Aptitude Test in Engineering or popularly known as GATE 2019 is going to be conducted on 2nd, 3rd, 9th, and 10th of February 2019. This examination is conducted by IIT Madras. It is an online examination with both MCQ and NAT type of questions. It is a 3 hours examination with 65 questions and 100 marks in total. The question paper will carry positive as well as negative marking for each question. You will be able to sit for the examination only if your registration is completed successfully. Qualifying this examination will lead you to study engineering in IITs, NITs, etc., in India. Therefore, it is important to understand the pattern of the examination before giving the exam. Understanding the exam pattern will solve many queries regarding the question paper. So to learn more about the exam pattern you must go through the article and prepare yourself for the examination. The date of the examination is 2nd, 3rd, 9th, and 10th February 2019. The duration of the examination is 180 minutes/3 hours. The total number of questions are going to be 180 and the total marks for the examination are going to be 100. The questions for the examination are going to be Multiple Choice Questions (MCQ) and NAT (Numerical Answer Type Questions). The questions in MCQ type questions are going to be objective and the candidates are supposed to choose one correct option out of 4 different options for the correct answer. And to answer the questions with Numerical Answer Type Question the candidates have to enter a number as the correct answer using the mouse and the keyboard. There are three sections in total i.e., General Aptitude, Engineering Mathematics, and Subject. The General Aptitude Section will have 10 questions in total. 5 questions of 1 mark and other 5 questions of 2 marks. 15 marks in total. ⅓ Marks would be deducted from the 1 mark questions if they are attempted incorrectly. ⅔ Marks would be deducted from the 2 marks questions if they are attempted incorrectly. There is no negative marking if any question is left unattempted. Also, there is no negative marking for the questions with Numerical Answer Type Questions. 1. Geology and Geophysics Paper (GG): The question paper will have two parts, Part A and Part B. Part A is compulsory for all. Part B is going to have two sections, Section 1 i.e., Geology and Section 2 i.e., Geophysics. Candidates will have to attempt any one section according to their preference. 2. Engineering Sciences (XE): The section of Engineering Mathematics and General Aptitude is compulsory for all the candidates. Sections A will carry 11 questions which is again a mandatory section. And candidates have to choose any one section from Section B to Section H.
3. Life Sciences (XL): Section P (Chemistry) is compulsory for all the candidates. It will also carry NAT Questions. Candidates have to choose any one section out of Section Q to Section U. It is compulsory to carry the GATE Admit Card 2019 on the day of the examination; otherwise, you won’t be allowed to give the examination. While you are answering the questions keep checking the clock which will appear on the screen to keep track of the time. 3 hours is the duration of the examination. You can deselect an answer by double-clicking on the option if you haven’t saved the answer. You have to press “Save and Next” after attempting each question. You can also press “Mark for Review and Next” to cross check the answer before submitting the Answer Sheet. All the candidates would be provided a writing pad to do the rough work. To know anything more about the exam you can write it to us in the comment box which is provided below. JEE Mains one of the prestigious exam and included in the toughest entrance exams in India. 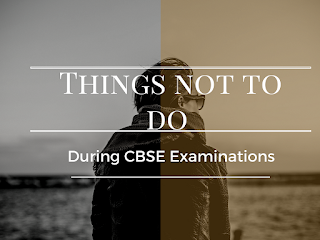 For cracking this JEE Main exam 2019 one should have to word-hard and practice a lot for scoring good marks in the exam. Those students who are not able to clear the JEE Main exam 2018 do not have to worry. Just have believed in yourself and study harder to take out the best from yourself. Cracking the JEE Main Entrance exam is not a big task. Proper study and systematic time schedule to solve all the numerical and the related problem can lead you to the success. For the repeaters, it’s a great opportunity to take Classroom study for JEE Main 2019. Special classroom program is arranged for the students who are already done classroom program. The repeaters program main aim is to provide the students complete smart study for preparing them for the exam. Best Classroom program for JEE Main students can help them in achieving the great target. Repeaters Classroom program has been successful in achieving the target of clearing the JEE main. A lot of students get success from this classroom program. 1. JEE Main Syllabus- Covering the syllabus before time can help you in getting adequate time for studying. The revision will be easily done which is a great process to perform. The revision basically increases the success rates of performance. 2. JEE Main Exam Pattern- The latest exam pattern will help you to analyze the type of questions which have the maximum chances to occur in the exam. The smart study can help you in achieving great targets. Study according to JEE Main exam pattern can provide you with the best results. 3. JEE Main Previous Year Question Papers - Practising more and more question and answers can help in clearing the concepts and related queries. These Classroom Program for JEE Main 2019 are designed by the top faculties which have experienced in designing JEE Main class papers. 4. Coaching Classes- Online Coaching classes are at the boom in delivering best quality education around the globe. This is the best factor in providing the knowledge. Online coaching classes for JEE Main is a very convenient and flexible way to study. It depends upon you at what time schedule you want to study. 5. Group Study- This technique have an instant way to clear your concepts and grab things easily. There is a number of things which you are not aware of and by applying this technique you are able to grab that thing easily and clearly for Engineering Entrance Exams 2019. 6. Follow the Toppers Study Material – Want to study efficiently and crack the exam then the easiest way is to follow the toppers instructions about how to study for JEE Main exam 2019. Experienced people know the way to get success. Taking advises form experienced people can help you in the initialization of important things in one individual life and take your career to the greater heights. The fans of Marvel are finally witnessing the biggest battle of all the superheroes they have grown up watching. Each person in the audience has profound memories of their first Marvel movie and this is the day they have been waiting for from last decade. The day when all the Marvel superheroes would be in the same frame on the silver screen. There's not a single fan who doesn't remember the first time they heard the Avengers theme, or Hulk getting angry. Marvel has produced this movie to give its audience an experience of lifetime. Watch your favourite superheroes fight against the greatest evil and save money on your booking through ticketnew movie offers. From the cinematic universe of Marvel comes the most awaited film of the year - Avengers Infinity War. Huge budget, ensemble star cast, and a huge burden of expectations from all the fans all over the world. Previous Marvel movies were directed by Joss Whedon, a television guy, but with a creative vision to bring the superheroes to life on the screen. Marvel, however, picked the Russo brothers to direct the Infinity Wars movie. Russo brothers too come from a television background and have yet different and unique storytelling style. They have previously directed tv series having ensemble star cast, parallel stories, and maintaining balance between humor and action. This experience have helped them hugely to make Infinity Wars. Infinity wars is the movie about saving the planet from the most powerful enemy Avengers have ever come across. Thanos, the evil, is on a mission to collect all the six infinity stones which he will then use to lay his twisted will on reality. The Avengers have united to battle against this evil force and save the planet. Rating - Avengers Infinity Wars has garnered a whopping 9.1 out of 10 ratings on IMDb. Star Cast - Robert Downey Jr. as Iron Man, Chris Pratt as Star-Lord, Chris Evans as Captain America, Josh Brolin as Thanos, Chris Hemsworth as Thor, Scarlett Johansson as Black Widow, Benedict Cumberbatch as Doctor Strange, Tom Holland as Spider man, Elizabeth Olsen as Wanda Maximoff, Zoe Saldana as Groot Gamora, Jeremy Renner as Clint Barton, Mark Ruffalo as Hulk, Vin Diesel as Rocket Raccoon, Dave Bautista as Drax the Destroyer, Paul Bettany as Vision, Sebastian Stan as Bucky Barnes, Benedict Wong as Wong. Overall, the movie is gaining huge positive reviews and is booming at the box office and it might be well on its way to become the highest grossing movie. The second largest budget movie is definitely living upto its hype and giving the audience what they came for. This movie is a must watch for everyone. Book your tickets and get discount during the ticketnew movie offers. People have already witnessed the glimpses of this movie in the previous every Marvel Superhero movie. Infinity Wars brings all those glimpses together and makes a whole collage of it. Thanos is on his way to acquire all the six infinity stones. He has acquired the power stone from planet Xandar. Thanos and his children intercept a spaceship where Hulk, Loki, and Thor fail to stop him. During the fight Thanos kills Loki and Hulk crashes back into New York city and warns Stephen Strange and Wong about Thanos' plan to destroy the universe. One of the stones is with Strange - the Time Stone. Vision sacrificies himself by giving the Mind Stone to one of the Avengers. Up in the Sky Guardians of Galaxy respond to the distress on the ship where Thanos has kept Thor and they are on the mission to rescue Thor. Thanos kidnaps Gamora, his adopted daughter, who reveals the location of Soul Stone to save her sister Nebula. Nebula escapes the captivity and asks all the other Avengers to meet on Planet Titan, Thanos' home planet. Strange chooses on of the many futures where Thanos loses. But their plan fails when Quill retaliates and thus breaks the groups hold on Thanos. Thanos overpowers them and Strange surrenders himself giving the Time Stone. Thanos then departs for Earth. Vision is destroyed twice, once by Maximoff and then by Thanos, who then retrieves the Power Stone. Thor has wounded Thanos to a great extent but he still succeeds in activating the Infinity Gauntlet and teleports away. Slowly the universe starts to disintegrate. Thanos awakens on another planet, some Avengers on Titan, and yet a lot of them are left on Wakandan battlefield. The post-credit scenes show that a distress signal is transmitted by Nick Fury. The signal is of blue, red, and gold Kree Hala Star, which indicates Fury has contacted Carol Danvers. The movie is directed by the Russo brothers. They have together directed Marvel films including Ant-Man, Captain America: Civil War, Captain America: The Winter Soldier. They began their careers from TV direction. Most of their experience comes from direction of sitcoms including Arrested Development and Community. The brothers expertise in handling ensemble cast has definitely showcased on the Infinity Wars which has every superhero. Despite of having the star cast of around 30 they have managed to give each character equal and balanced importance in the movie. They have played a genius game of forming teams of the Avengers so that each character can get a screentime. The music for Avengers: Infinity Wars is given by Alan Silvestri. It's a symphony-orchestra mixture of winds, strings, and kettledrums. The music gives a good sense of escalation as the superheroes tackle with their enemy. Silvestri is a Oscar-nominated music composer who has composed for The Avengers (2012), Avengers: The Age of Ultron. The focus of this movie is on Thanos and the music is planned that way. The Infinity stones were supposed to have their own musical theme but Silvestri was against this and kept this decision. Silvestri says, "When done right, the music becomes another character in the property." The movie released on 28th April, 2018 and has bagged huge positive reviews and ratings along with great box office opening. You can save Huge by using the ticketnew movie offers. The film has grabbed a huge opening collecting $31 million on first day. The film's box office collection is rising constantly and has reached upto $39 million on day 2. The reviewers have showed a positive faith towards the movie. The movie has stood to its expectations and will return with a sequel in 2019. Fans are having a good time watching this movie and living the experience. This movie is best viewed on IMAX screens providing 20% more picture than the normal screens. The movie has a lot of characters' performances touching hearts of their fans. This is a must watch movie even if you are not a Marvel or superhero movie fan. Just go and witness the cinematic experience. Essay Mill - essay writingg service. 123 Term Papers is the best service when it comes to research paper writing. Smart students get help at thesisrush.com and sleep well at night.